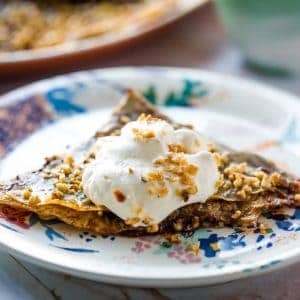 This Nutella Crepes recipe is heaven on a plate: soft crepes filled with warm oozy Nutella topped with crunchy hazelnuts and served with a dollop of pillowy soft whipped double cream. I’m going to let you in on a secret. 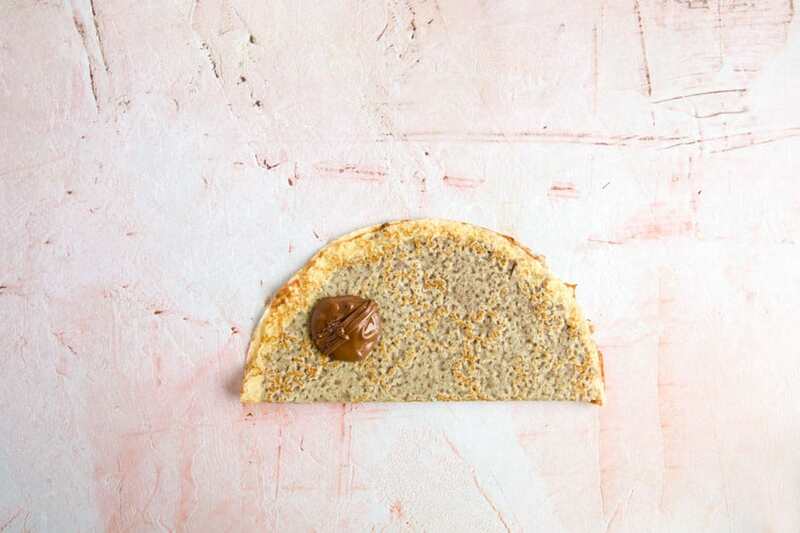 You don’t *have* to make the crepes by hand. 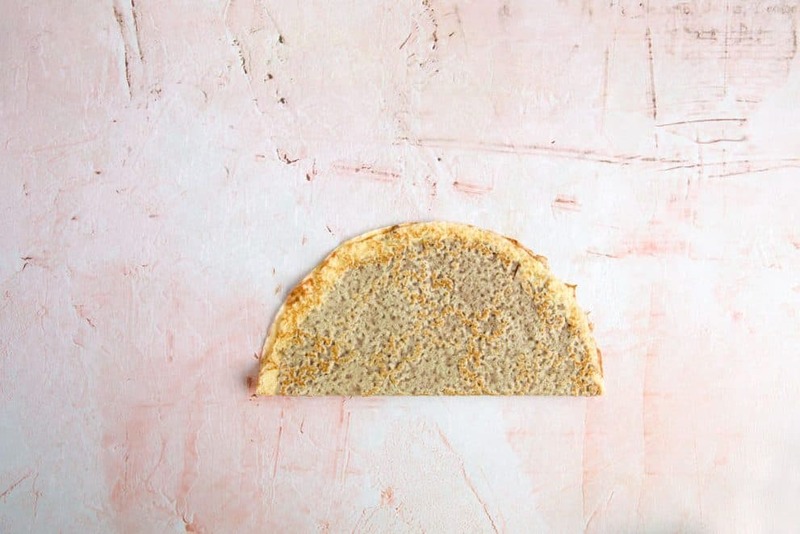 You can cheat and buy ready-made crepes. No one will ever know! 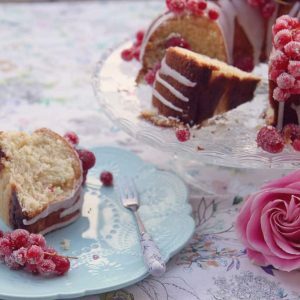 I’m all for a bit of time-saving convenience, you will already know that if you’ve tried my No Baking Skills Required Vanilla Naked Cake. 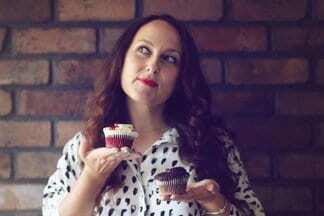 It’s not that I can’t bake, I LOVE baking, it’s just that sometimes I see a shortcut and I take it because it makes my life so much easier. Hence the reason I use ready-made shop bought crepes. 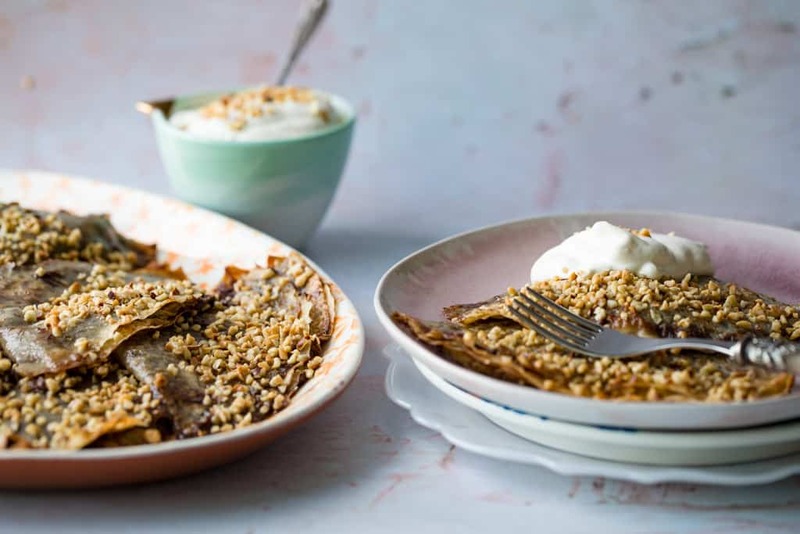 For this recipe you will need: 12 shop bought crepes, 600g Nutella, 50g melted butter, 75g chopped hazelnuts, and 100ml of double cream to serve. 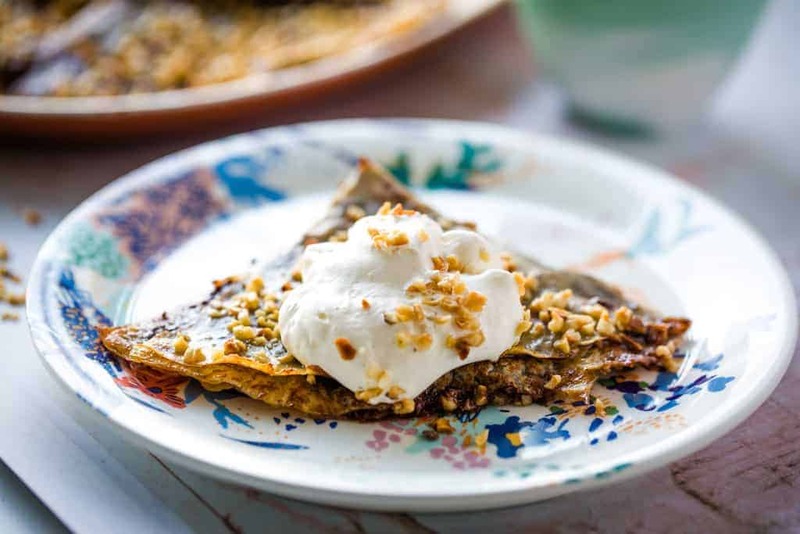 This recipe is actually adapted from my fav chef Nigella Lawson’s Nutella Crepes. 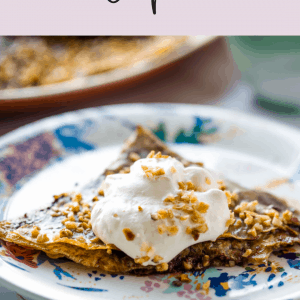 I’ve been making them for years but have changed the recipe by increasing the number of crepes (hey I have a BIG family) and omitting the alcohol to make the Nutella Crepes kid-friendly. Essentially it’s less of a recipe and more of an assembly because all you’re really doing is spreading Nutella on crepes and bunging them in the oven. 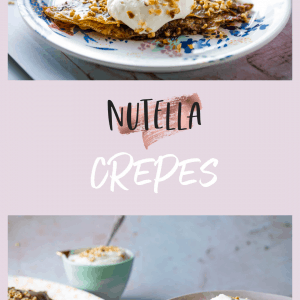 And voila, you’ll end up with gorgeous Nutella stuffed crepes that can be served as breakfast on a lazy Sunday or a quick mid-week dessert. …Or whenever you fancy them. What’s the difference between Crepes and Pancakes? 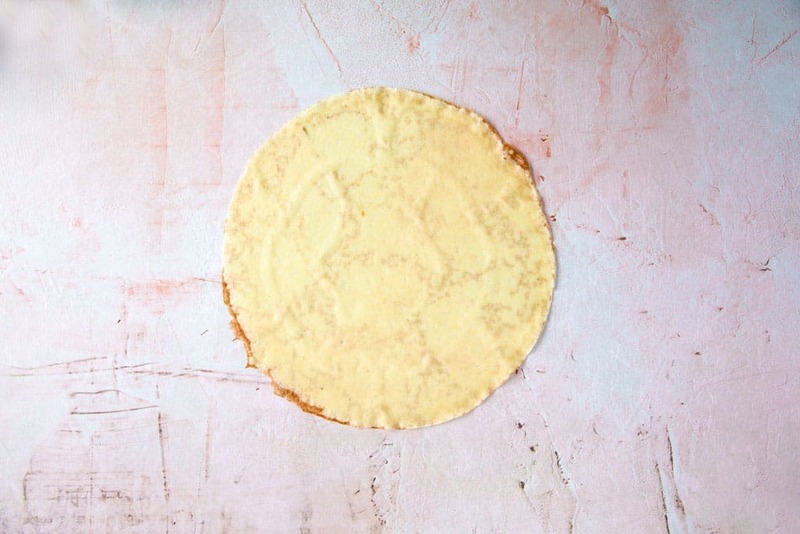 The main difference is pancakes have a raising agent to make them thicker and fluffier whereas crepes don’t, this allows for them to be super thin and delicate. 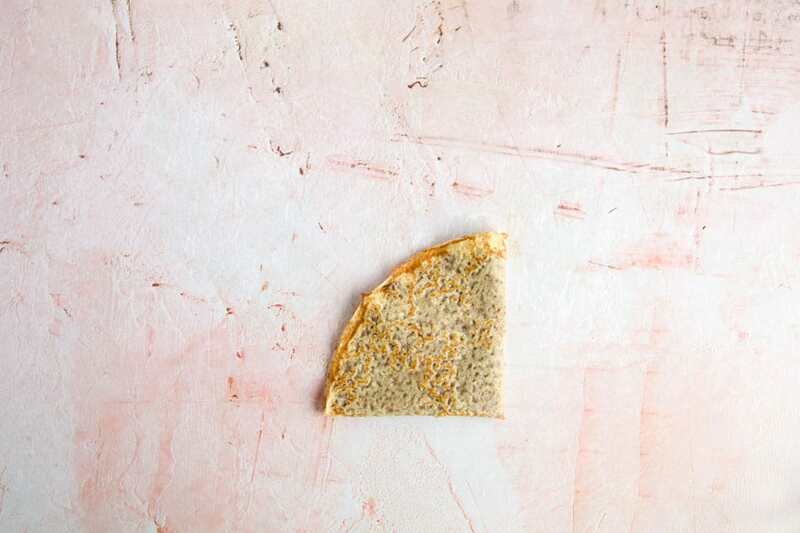 The batter for pancakes can be used immediately but for crepes, the batter should sit for an hour or so to ensure a silky texture which achieves the characteristically thin end result. A great degree of restraint is required to make crepes so that brings me back to my point above: it really is much easier to buy shop bought crepes. And why do we all love Nutella so much? And how do you even say Nutella? Let’s just address the palm oil issue quickly because I have had one or two people complaining about me advocating Nutella on my Facebook page. What are crepes made of? 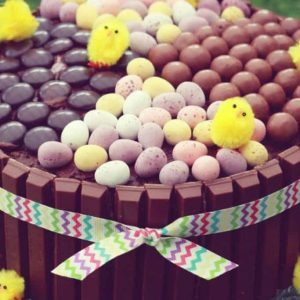 Common ingredients include flour, eggs, milk, butter and salt. 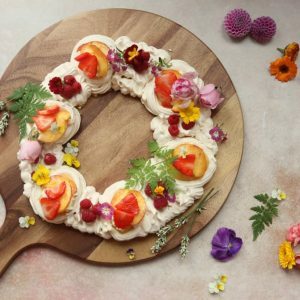 They can be made sweet by adding sugar, or savoury by adding buckwheat flour and left unsweetened. I bought my fresh crepes from Waitrose (found in the fridge section) they contain wheat flour, pasteurised free range egg, milk, sugar, sugar syrup, water, sunflower oil, lemon juice and salt. How many crepes should be served per person? 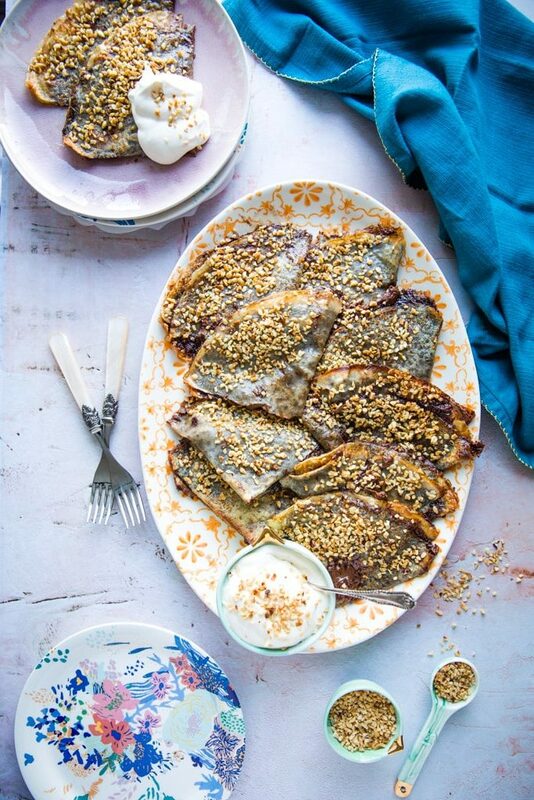 As these Nutella Crepes are quite rich I would say 2 each is plenty. 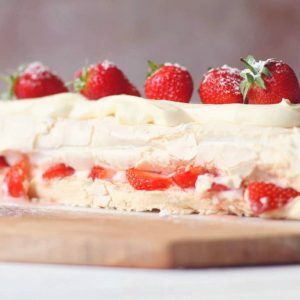 If you follow this recipe and make 12 and have any leftovers they will last in the fridge for 2 days and can be reheated in the oven or microwave. 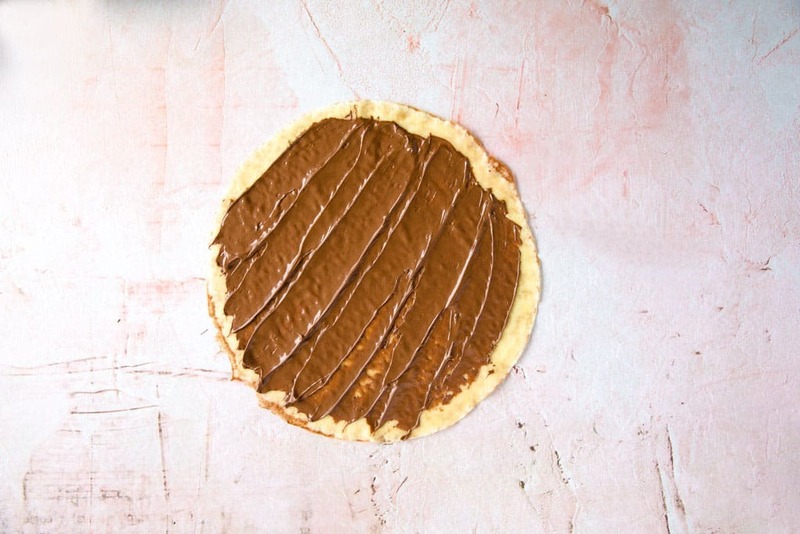 Making Nutella Crepes couldn’t be easier, just follow these simple steps. 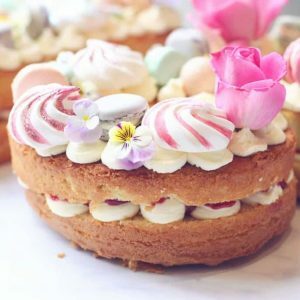 Millionaire Caramel Shortbread with Pink Marbled Chocolate – Buttery shortbread base with a silky smooth caramel middle topped with unusual dark, white and pink chocolate marble swirl. Salted Caramel Tart with Edible Gold Leaf – Beautiful combination of salted caramel and chocolate topped with showstopping edible gold leaf. Dark Chocolate Eton Mess – An adaption of the classic Eton Mess made with dark chocolate and presented in pretty mason jars. If you have any leftovers they can be refrigerated for 2 days. Heat up leftover crepes in the oven for 5-8 minutes or pop them in the microwave for a couple of minutes. Look yummy! I think I’d be tempted to add some banana too on pancake day. 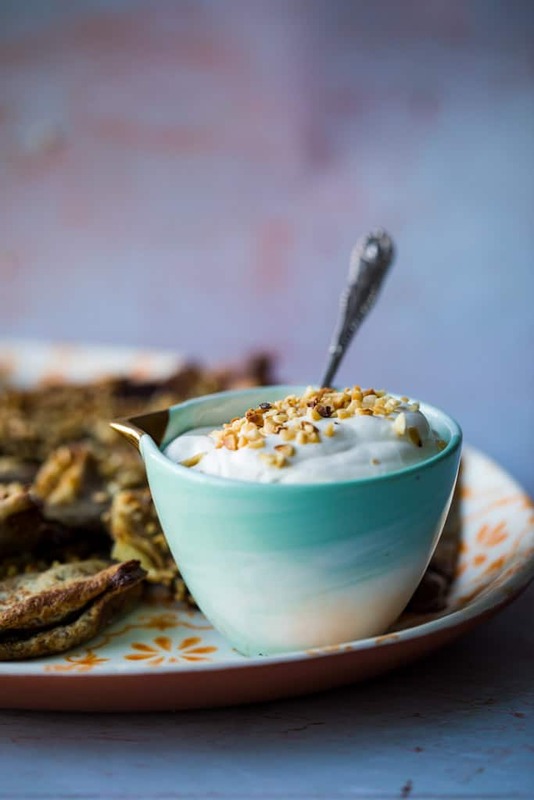 Fabulous for pancake day, hope you try them!